1.5 blks to Natural Bridges & Beach Hottub Firepit BBQ Best location. Full sun facing backyard, where you can entertain your family and friends, barbecuing, relaxing in the hot tub, roasting marshmallows in the gas fire pit while surrounded by beautiful mature tropical landscaping. The best location in town. 1 1/2 blocks to Natural Bridges State Beach Park. (famous for thousands of monarch butterflies) and a two mile walking/bike path along the ocean called "West Cliff'"
Located in a small quiet court which is safer for children, quieter and more private than ocean front homes which have cars and people constantly going by. Plenty of parking. Very well stocked kitchen with top of the line appliances. Large living room with vaulted ceilings, 8 seat dining table, & huge couch. Very spacious inside. Large HD flat screen TV in living room and master bedroom. Personal WIFI in house and yard. Redwood Outdoor table. Game table and gas fireplace in the family room. The house is very safe with smoke detectors, carbon monoxide alarm and fire extinguisher. Everything in the home is well maintained and up to code. I personally go to the vacation home between guests to insure it's in top shape. The rental includes a host. Susan lives in the neighborhood and can quickly assist with any unforeseen problems that might arise with the home. She will drop by and introduce herself, you can ask her questions about the home or get recommendations on places to see. Check out the swift st. courtyard http://weekenddelsol.com/westside-santa-cruz/ fine dining, wine tasting and The Santa Cruz Mountain brewery where the locals hang out. Only minutes away. I grew up in Cupertino and moved to Santa Cruz in 1994 after graduating with a business degree from Western State Colorado University. 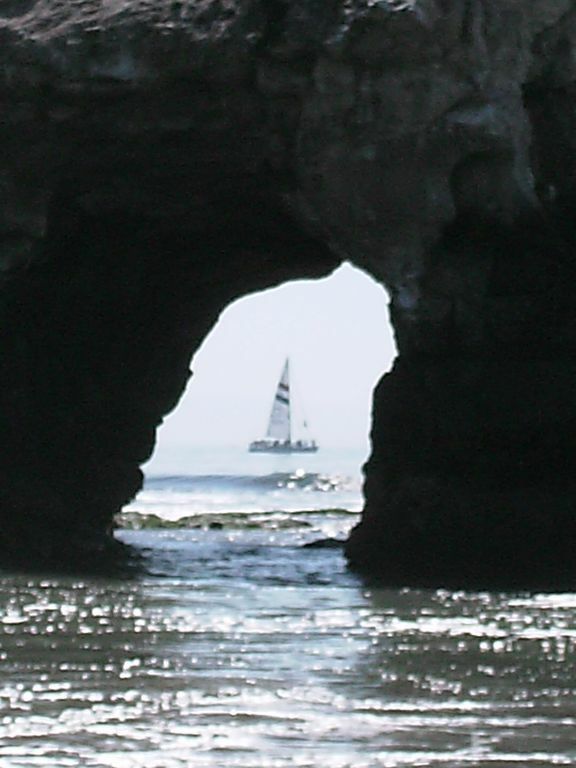 I was attracted to Santa Cruz because its a fun town and has a lot to offer such as world class surfing, mountain biking, great live music and of course the beach and redwoods. I lived in the beach rental for 15 years and loved it. I wanted more of the country life style so I moved 15 min away to Bonny Doon in the Santa Cruz mountains on some acreage with my family. The location of this property is perfect. It's close to the beach. You can walk across the street into Natural Bridges State Park & hike/bike nature trails at Wilder ranch. In the fall you see thousands of Monarch Butterfly's, some fly around in the backyard. It's close Highway 1 North which is surrounded by undeveloped landscape with nice beaches, surf breaks and dramatic cliff's that overlook the ocean. It's one of the most beautiful drives in the world. 3 full bathrooms Master bed has sperate tub two sinks, shower & toilet . Bathroom 2 upstairs has shower tub combo sink & toilet. Bathroom 3 has shower, toilet & sink. 2 car Full of sports equipment and beach gear. personal WiFi in house and backyard. 4 adult 3 child Helmets & Locks provided. one block away in Durbee Park. Two courts. Valley Gardens, Delavega, Pasatempo, Sea Scape are all very close. On the ground level there is a bedroom with queen and a full bath. One step to get into house. My family and I loved this rental!! Spacious, lots of natural light, and super close to the beach. The hot tub and fire pit were perfect. We had a toddler with us and appreciated all the baby items that were in the garage. Our two older kids put the wet suits to good use too! Would definitely come back!! Great house, wonderful location! It was a perfect vacation spot for my family and I. Everyone fit and enjoyed the space, thanks! The house was clean and the beds were comfortable. 4 great bedrooms. The beach really is right down the street and it was our favorite beach we went to the whole trip. Just beautiful! And the walking path right there along the beach had the most gorgeous view of the ocean. We loved our stay and big group stayed very comfortably. Great for families. Close to everything yet still quiet. AMAZING PLACE AND HOSTS! Was completely happy with this place. If you have a family with younger kids..they have everything there you need. Hosts are wonderful and helpful. Accurate description of everything listed. Beautiful! The location was great! It was our first time in California and being in that house made the trip a greater experience than we can imagine. It had all the comforts of home. It help bring my family closer during the Christmas holidays. When we come back, we will definitely hopefully be able to get this home again. Across the street from Natural Bridges State Beach Park. Westcliff is a 5 minute walk away. It is a two mile walk bike path along the ocean with a amazing view of the Monterey bay. Close by is the Santa Cruz Beach Boardwalk, Wharf, downtown Santa Cruz. Great surfing spots like Steamers Lane, Cowell's Beach, Pleasure Point and many point breaks up highway 1 north are only minutes away. Wilder ranch and Henny Cowel offer world class mountain biking. Take a scenic drive up North to San Franciso or head south to the world famous Montrey bay aquarium.